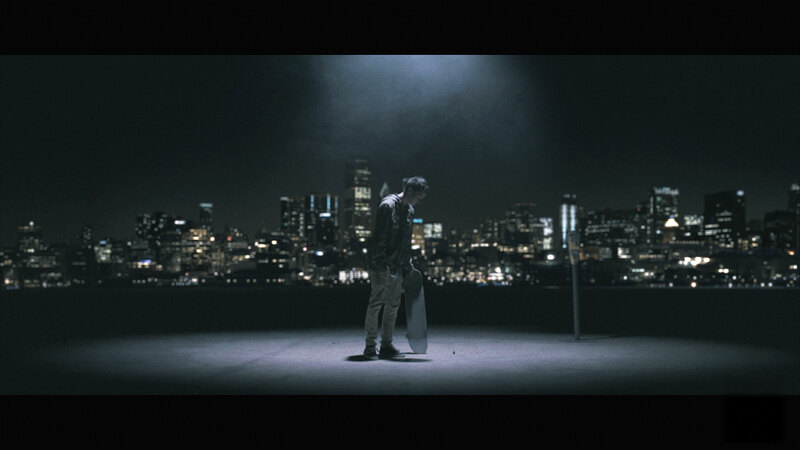 Late at night in a hidden part of the city, a skater soon finds himself locked into a do or die trick session. Skate videos are a dime a dozen on the internet. But, considering our goal to highlight narratively focused short films, it’s not a particular sub-genre we’ve been keen to feature here on Short of the Week. That is, until we saw Director Simeon Duncombe’s Trick Meter, a skate challenge short that combines the craft of skating with a fantastical premise and some very impressive visual effects. Okay…I won’t make excuses. The story here isn’t deep. But, there is a story—this isn’t all kickflips and ambient music (as you’d normally find in the skate video world). Admittedly, we had a pretty lengthy discussion over here at Short of the Week headquarters: is Trick Meter really a SotW film versus a special effects showreel? Well, considering you’re reading this on the site, I’m assuming you can figure out the result of our internal debate. Duncombe manages to succeed where so many special effects film fail by crafting a dynamic, fantastic world dominated by a ticking clock. Yes, that’s right…a ticking clock. The very trick meter itself provides a wonderful sense of wordless stakes to the various events on screen. As we watch our nameless skater attempt to battle his way through each successive trial and tribulation, we hold our breath. Will he make that jump? More importantly, will he do it in time? Trick Meter seems to be dependent on a video game sort of logic. And, honestly, I mean that as a compliment. There are defined rules, a set number of “lives,” levels that need to be passed. We’re instantaneously invested in all the actions on screen—we watch (and want) our hero to beat the game itself. Also, quite impressively, all this information is conveyed wordlessly. For all intents and purposes, Trick Meter is a silent film (albeit, a very, very slick one). Trick Meter was filmed way back in May 2012 (with some pickups happening later in 2012 and 2014). Essentially, it was a personal project that Duncombe was only able to work on in his spare time. Everything was shot on a couple of DSLRs. VFX were completed using Maya and Nuke. I really enjoy creating stories that couldn’t otherwise be told without the use of the visual effects tool set. Us film snobs often give big-budget films a hard time for being too reliant on CGI. But, as Trick Meter showcases so effortlessly, when visual effects are used in a way that is intrinsic to the storytelling process—not just to make stuff flashy or blow things up—they’re an important tool that can help craft original narratives. Duncombe is currently represented by the New Zealand creative video agency, Freshly Ground. Hs is also beginning post production on a feature film he shot with his friend Hayden Weal. Learn more here.